Home » Best Outdoor Storage Sheds: Small, Large, Vertical, & Steel! Best Outdoor Storage Sheds: Small, Large, Vertical, & Steel! 1 Why Should You Get A Shed? Winter is coming. No, really, it’s coming — and you want to be able to park your car in your overflowing garage again. What can you do? Get an outdoor storage shed, of course! Why Should You Get A Shed? There are a whole lot of reasons to get a shed, but the primary one is right in the name. Outdoor storage sheds provide ample storage for all of the necessities. Want to get your lawnmower out of the garage? Get a shed. 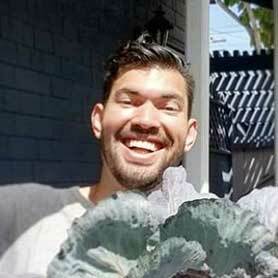 Your tools and bags of potting soil or compost? Shed! Etcetera, etcetera. It frees up the space in your garage for other things such as your car and still keeps it protected from the elements. However, a storage shed offers other options as well. 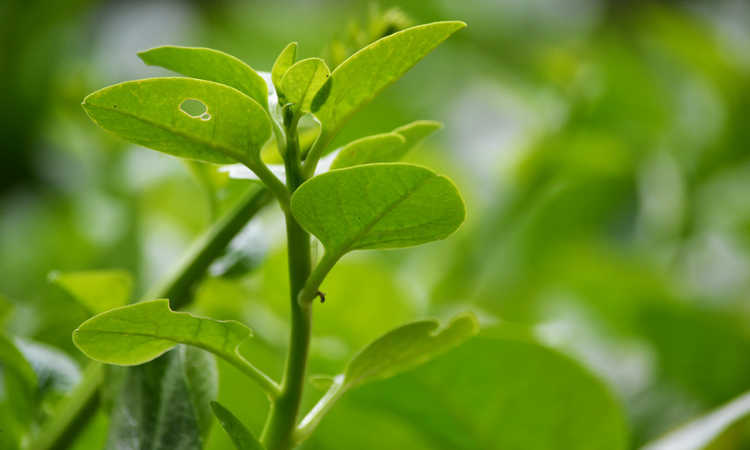 You can use it as a potting station for your plants, or with the addition of a grow light use it in lieu of a greenhouse. It can be used by kids as a possible rainy-day play area, or as a man-cave if you just want to get out of the house for a while. It can add visual interest to your yard while acting as an extension of your home. There’s even storage sheds which have attached porches where you can place some chairs to relax in. Overall, an outdoor shed is a great investment for most people who spend lots of time outdoors. There’s a lot of things to take into consideration before you ever spend a dime on building an outdoor storage shed, so let’s take a look at some of those things. You want the perfect shed, and there’s a lot to choose from. But there’s as wide a variety of prices as there are sheds to choose from. Look at the quality of your shed’s construction very closely when you’re selecting the best choice for you, and spend some time doing the math to determine that you’re getting the quality that you want for a reasonable price. Also, be sure that all of the features your shed offers are ones that you actually want. If you don’t need skylights, then don’t invest the money in a shed that has them. Be sure to determine also if you’re going to need to lay a foundation and develop a rough estimate of that cost as well, adding it to the cost of the shed. Will it still be worth the expense when all costs are considered? Of course, we all want the gigantic shed which can serve as a workshop, greenhouse, storage for everything we don’t want in the house and the garage, and maybe an extra sitting room…but do you really have the space for it? One way to determine the shed size of the shed that you need is to determine what you plan on putting in it in advance. Take everything you plan on storing out into the yard and put it all together, and gauge your size from that, leaving enough room for easy access and unanticipated storing of other items in the future. If you’re looking for a combined work/storage space, you’ll want to figure out how much space is optimal for your work space. Add additional space to easily move around without coming in contact with the stuff you’ll be storing in there, as well. You aren’t going to want to be straddling your lawnmower as you’re trying to use your potting bench! While the most rudimentary storage shed is in essence a large box, a box isn’t always a good source of protection from the elements. That doesn’t seem to be much of an issue if all you’re storing in it is a collection of pots and shovels, but if you’re putting a top-of-the-line lawnmower in there, you may want to think twice about your shed. Does it have windows, and if so, are they fixed or can they be opened to allow in ventilation? Is the door handle sturdy and does it lock securely? Does it have a built-in floor or do you need to construct flooring for it? Is the roof sloped to allow runoff of rainwater adequately? All of these questions are things you should be considering when making your decision. Your shed is an extension of your home, and it should look like it was meant to be there — because, in the end, the look of a built-in shed should enhance the value of your property, not detract from it. Does your house have window boxes for flowers? Perhaps you’ll want those on your shed as well. Are you considering a deck? Maybe you’ll want a shed with a built-in porch extension to provide shade at the side of your deck. Not only should it match the design of your home, the landscaping around it should be visibly-appealing as well. After all, you’re going to need to have easy access to your shed for whatever you’re storing in there, but it doesn’t have to be ugly. Creating landscaping around your shed provides more visual interest in your yard, and can greatly improve the value of your home or property. As with any structure you’re building, a shed may fall under local building code regulations or zoning regulations. Some areas of the country have limitations on how close to a fenceline the shed can be, for instance. 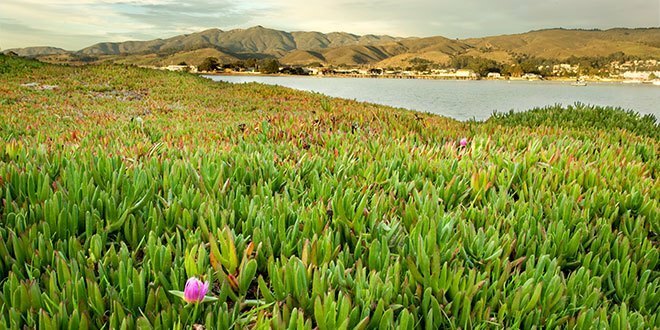 Homeowner associations may have requirements on the maximum size or how it visually appears, as well as placement requirements. Be sure of any regulations before you start your build process so that you don’t find yourself fighting fines and fees. While there are sheds that can be assembled in an afternoon that claim not to require a foundation, it’s still something that you should take into consideration. A good level foundation will help protect your shed and its contents from the elements, helping prevent moisture from seeping in under the doors and walls. It can also be necessary, as some shed styles don’t have built-in floors, so you have to essentially build your own. A sturdy foundation can significantly prolong the life of most storage sheds, so this is a step that you definitely want to take into consideration before you start. You can do a compacted dirt foundation, a gravel foundation, a wooden deck-style foundation, concrete… these are all variables you’ll want to decide on well in advance of constructing this outdoor storage box. While most of us want to believe that we can DIY something as well as the professionals, it’s a good choice to be 100% sure that the type of storage shed you’re building is something that you can, in fact, do yourself. Many of the cast resin sheds are quite easy to assemble, and shouldn’t take a professional, but some of the other types might be a bit of a challenge. If you’re handy with a hammer and a saw, you might be able to DIY a wood or even metal shed, but before running out to buy parts, be sure you have a good set of plans or a good shed kit to work with. You also may need extra help for things like getting the roof into place, so be sure to read the directions fully before you start. Does your shed come with shelving or tool hanging racks, or will you need to add your own? Are there windows or skylights, or can you easily add lighting if you need it? If there’s windows, do you need shutters or are they all weather? Do you want to add window boxes, or maybe a ramp to access your shed? This is all customization to make your shed suit your specific needs, but it still should be addressed. After all, you’re the one who is going to use that shed, it might as well be designed from the outset with all sorts of utility and adaptability in mind! While sheds can be constructed of nearly anything (and I do mean that – I once saw someone who’d used an old VW Bus body as a shed in their yard! 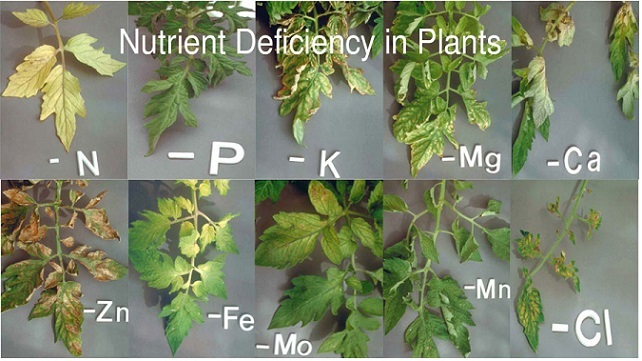 ), most sheds fall into one of the four categories listed here. Visually, the most popular type of shed is found in wooden storage sheds, because they offer that cabin, barn or outbuilding-like appearance that so many people enjoy. It has the perk of being adaptable, as you can easily add insulation, shelves, and other interior additions. 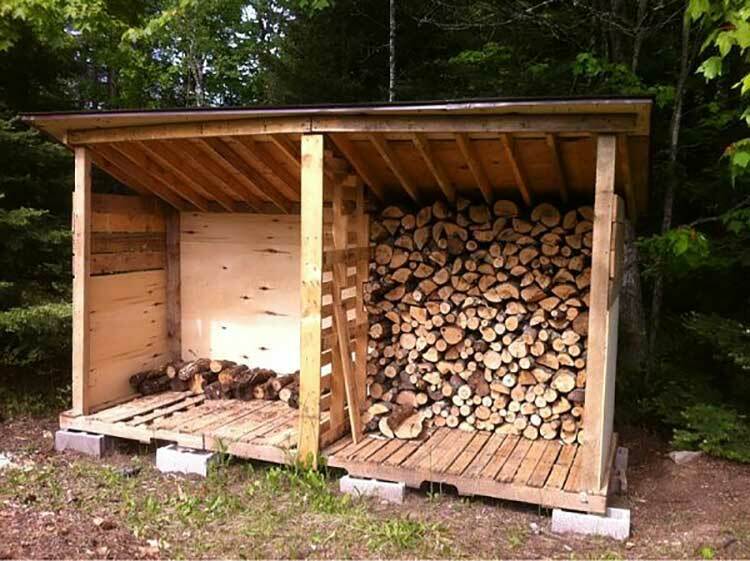 It’s relatively easy to work with, creates a sturdy structure, and can be a great choice. Wood shed kits are readily available. However, wood has a few flaws, as well. Untreated wood is at risk from the elements, and while using pricier cedar or redwood is an option, it still will be at risk from insect infestation or possible rot if it’s left untreated. Painting or staining it will help, provided that you thoroughly coat all of the wood’s surfaces. You can purchase pressure-treated lumber, but you will likely still want to paint the shed to add more durability and protection. And remember, you’re constructing a building on your property this way – you may need building permits to get your shed up. In shed construction, plastic is actually a bit of a misnomer. Most storage sheds are created out of a dense resin that’s a lot more heavy-duty than a standard plastic. These provide lightweight, easy-to-assemble options that are suited for first-timers or people who don’t have any carpentry skills. There are also sheds made of PVC available, and those also provide ease in assembly. Where a plastic storage shed tends to fail is in the built-in ventilation or the seams between panels. While the panels themselves may be watertight, the joints may still allow in liquid, so it’s best to add some silicone along seams or at joints to ensure your shed is watertight, and make sure any vents are covered and rain-free areas. Also, plastic is not very well insulated, so the interior will heat up quite a lot, and it’s difficult to add extra insulation without drilling through the shed and providing another moisture-entry point. Still, outdoor plastic storage doesn’t normally require special permits to construct. It’s a quick and easy choice. Metal is one of the sturdiest options available. Aluminum siding or corrugate lasts for years without much upkeep at all, and can easily be attached to a pressure-treated wood frame. You can purchase metal sheds that have been surface-treated in a wood-grain pattern if you want to keep the wood appearance while offering a much more secure and weather-resistant exterior. But metal can have sharp edges, and can be a bit tricky to work with. It also requires interior insulation… everyone knows metal heats up extremely quickly. And if you plan to use your shed as a greenhouse, or have kids who plan on playing in your shed, this might not be an ideal choice for you because of that tendency to heat up. Finally, we come to the last options: vinyl or fabric. These are generally considered “temporary” sheds, and because of that, they tend to be accepted without question by most residential areas where a more rigid metal, wood or plastic structure is not. These are generally plasticized fabric or flexible vinyl sheeting over a metal frame, some with open ends and others with zipper siding. But the drawback to a vinyl or fabric shed is that it is not as good as a sturdier structure at keeping the elements out, and it offers little in terms of security. It’s in essence like constructing a tent to protect your lawnmower – it might leak and it’s easy to get into. It is a great option if you are using it in the short-term, and it’s easy to move around, but it doesn’t give you a long-term solution. So if you only need or want a shed for the summer months, as an example, these are fine… but if you want a year-round option, look towards something more rigid. This is only a short list of a few well-known brands in the industry, and there’s many more where these came from, both in pro-built or home kit variants. Suncast outdoor storage has been a staple for the industry for many years, and by and large is one of the most popular. They offer a wide variety of outdoor-use materials, including cast-resin lawn furniture, storage cabinets, sheds, and so very much more. While the majority of their items are cast resin, they also offer some hybrid wood and resin products as well. Suncast storage sheds are sturdy and long-lasting options. Known in the plastic industry for nearly 80 years, there is a line of Rubbermaid storage sheds as well as all of their other popular products. Rubbermaid sheds are typically designed for easy addition of storage shelves (although you need to build your own shelves), and they tend to hold up to the elements. Around for more than fifty years, Arrow Storage Products offers a line of steel sheds that are built to last. With options including vinyl-coated steel, electro-galvanized steel, and HDG steel (which is treated with a special hot-dipped galvanization process), their sheds are weather-resistant and sturdy. 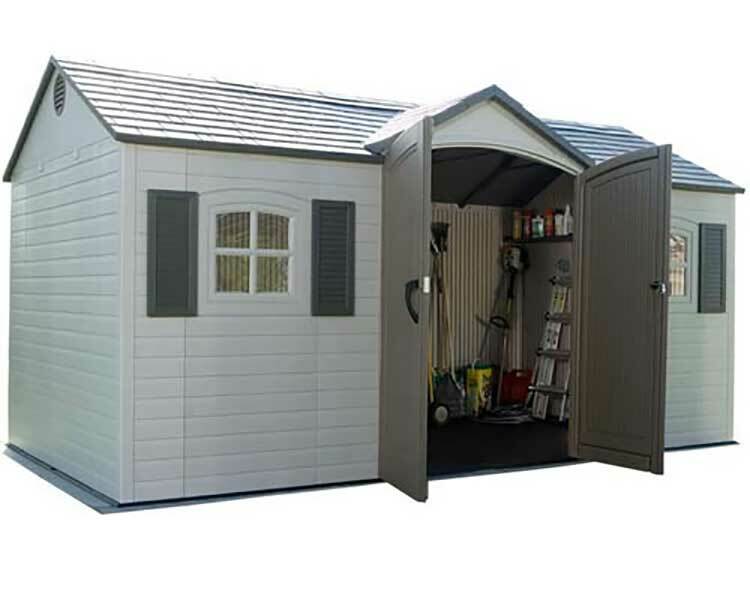 These metal garden sheds are available in both kit forms and prebuilt, and they come with long-term limited warranties. Wooden sheds typically are available either as pre-assembled, pro-assembled, or as shed plans rather than as a kit. This is so you have the option of what wood you wish to use for your plans, or a selection of pre-assembled or professionally-assembled choices of wood and design. Prices vary so widely on lumber, and plans are so variable, that it’s hard to give a good choice that could be done DIY-style in the back yard. So while wood storage sheds can be excellent choices, they’re incredibly hard to review. With that out of the way, let’s get on to some of the top models out there! If you’re limited on space for a storage shed, or only want to store your basic yardwork tools and/or potting soils, this is a great option. While its internal dimensions don’t allow for storage of larger equipment like motorized lawnmowers, it will handle most push-mowers with ease, as well as all manner of rakes, shovels, and the like. 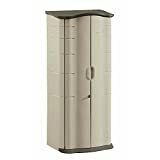 Shelves do not come with this tall storage cabinet but are easy to build yourself, and the instructions show how to construct and insert up to four fixed-point shelves. The price on this unit is quite good for what you’re getting, but in comparison to a larger shed, you’re paying more per square foot of storage space than you would on a larger unit. The handles are molded plastic as well and have holes that allow for addition of a lock, but may not be as secure as metal handles would be in a high-crime area. And, as it’s a tall storage shed instead of a wide model, you would have difficulty storing bicycles or other wider items in the relatively compact space. Very similar in a lot of ways to the Suncast variation, the major differences to the Rubbermaid version are that it’s a smidge taller, and that you can build five shelves instead of four. The shelf mounts are not evenly spaced in the Rubbermaid unit as they are in the Suncast one – the top two shelves end up being more narrow, where the lower shelves can hold larger items. Unlike the locking mechanism on the handle of the Suncast unit, the Rubbermaid has a separate metal locking tab that goes through one of the doors to hold the unit closed. One of the largest complaints against this shed, though, is that it is not bolted together, so the pieces which slide easily together during assembly can slide just as easily apart if one doesn’t drill holes and add securing screws. All in all, the Suncast appears to have a slight leg up on the Rubbermaid version, but if you need the extra shelf, go with Rubbermaid. For the price, this small outdoor storage box is cheaper in terms of square footage than its vertical counterparts. However, it really is more box-like than shed-like. It can hold squared-off trashcans quite effectively, offering a more appealing landscape option. It also works well for storage of such things as generators or other shorter equipment. 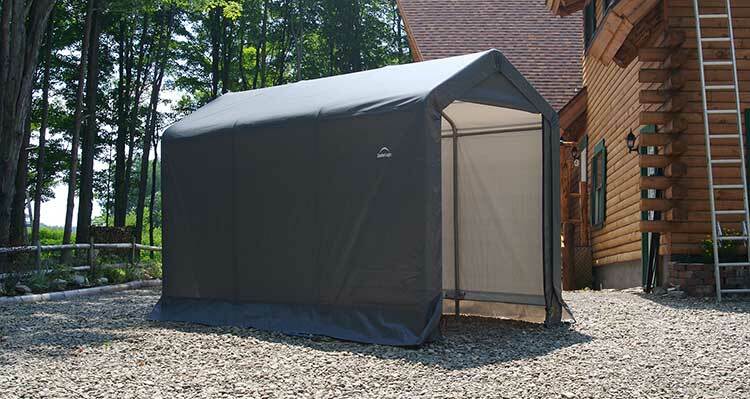 All in all, if you are putting this in a sheltered area, and you don’t need a lot of storage space, it’s a sturdy option and well-worth it for keeping cans or gear out of sight… but if it’s going to be directly exposed to high winds or you have a lot of items to store, this may not be ideal for you. This is an interesting pop-up solution… literally! 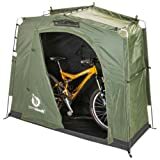 The YardStash III is a tent-like storage option which easily is put in place in a matter of minutes, and which can hold a couple of adult-sized bikes with ease. As it’s obviously not a permanent structure, you should not have issues with zoning, although some pickier HOA’s might not like that there’s a tent in your yard. And with polyester framing and a vinyl top, it does protect its contents from rain. Here, the problem is with longevity, not with its construction. If you need a short-term storage option, this is fantastic, but like tents used for camping it’s not meant for permanent long-term use. Ironically, this storage shed also needs to be stored itself. As it’s fabric, it’s also not as durable in high-wind or snow conditions, and it isn’t as security-minded as it can be easily cut through. If you need a short-term solution for summertime pool storage, or if you’re camping with a bike and want a secure place to keep your bike out of the elements, this is a fantastic pick. But if you want a year-round shed, I recommend that you look at alternatives. For a large storage building, this steel option is fantastic. It arrives as a kit which takes two people to assemble, but includes all of the components. It does not have a floor, so you will need to either purchase a floor separately or install it on an existing floor (a concrete pad or deck boards works fine). Pricewise, it’s not that much more expensive than the plastic options, which may come as a surprise! If you need large enough storage for a few bikes and your lawnmower, the smallest size of this model will easily handle that, and the largest version provides a whole lot more room. Its major drawbacks are that it’s metal (which heats up rapidly during the summer), and that you will want heavy gloves when assembling this to avoid cutting your hands on the steel sheeting. Also, you may want some silicone caulking to ensure that it’s water-tight at the joints. 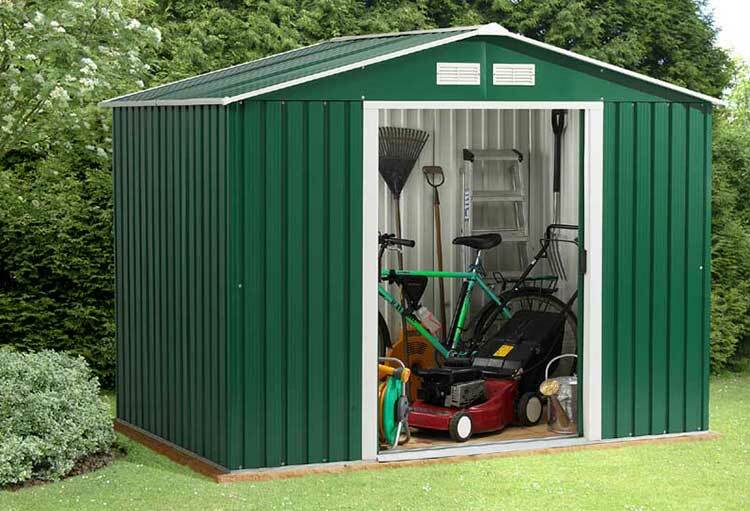 All in all, this is an excellent option for someone who wants a medium to large walk-in shed as a long-term storage solution, and the company seems to agree — this metal storage shed comes with a 12-year limited warranty. If you need a smaller garden shed that can still house a lot of items like your lawnmower, bicycle, maybe a generator, plus an abundance of potting mix and other gear, this shed might be right up your alley. While you must build it on a very flat surface to ensure maximum stability, it is designed for easy access to all of your goods. It’s very easy to assemble. The glidetop lid slides back to allow walk-in access to the items at the back of the shed, and it has a three-door locking system that ensures the lid is locked at the same time that the paired front doors are. You can opt to leave the lid closed to access items at the front of the shed, a good perk in inclement weather. It has a heavy-duty floor which is able to handle heavy things with ease, including smaller seated lawnmowers. While it’s not insulated, this shed is by and large one of the most useful options available for a small to medium outdoor storage building, and will do quite well in most residential yards. In terms of large storage sheds, the Suncast MBS6810D is a good all-around. Customizeable with additional storage racks including an attic-style rack and wall-mounted hanging racks, it has small skylights and door windows to provide some natural interior light. The roof is metal-reinforced to provide stability during periods of heavy rain or snow. The double-wall resin construction provides a slight insulating effect. The roof height is 8’, so this is not a small or low-profile shed, it’s truly a walk-in option. It’s also capable of being drive-in for riding mowers. It’s an easy assembly, but it does require a flat surface to be placed on. Overall, it’s one of the best home-assembly kits available right now. Best Vertical Shed: Suncast BMS1500 Vertical Utility Shed. It’s just built a little better than the Rubbermaid version, and I prefer the shelf spacing on this model. Best Steel Shed: Arrow Sheds HM86 Hamlet Steel Storage Shed. If you need the durability of a metal shed at a super-reasonable price, this is my pick. There are other sheds by Arrow that are equally-recommendable, but this one’s an excellent value. Best Small Storage Shed: Suncast BMS4900D Glidetop Slide Lid Shed. When I was first reading about this style of shed, I had my doubts as it’s not a typical walk-in, but the slide-top converted me. This style is really useful for most backyard spaces and doesn’t sit tall enough to block a view of the area beyond. Best Large Storage Shed: Suncast BMS6810D Everett Storage Shed. 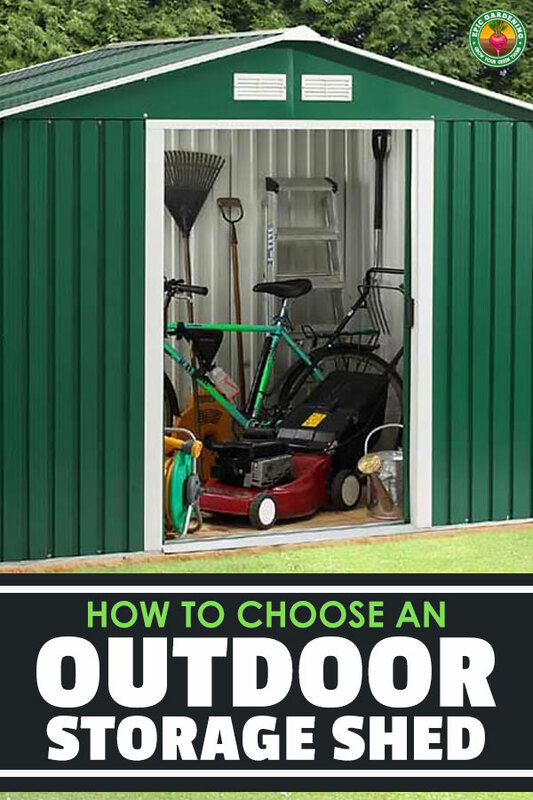 If you need an off-the-rack, easily-built outdoor storage shed, this is just good in all ways, and it incorporates a lot of elements that other types don’t (including great add-on options). It’s easy to see that Suncast has beaten out a lot of other sheds on the market in my list, but to be honest, I just can’t beat the ease of construction that they offer and the relatively low price as compared to other shed options. Sometimes, simple is best. 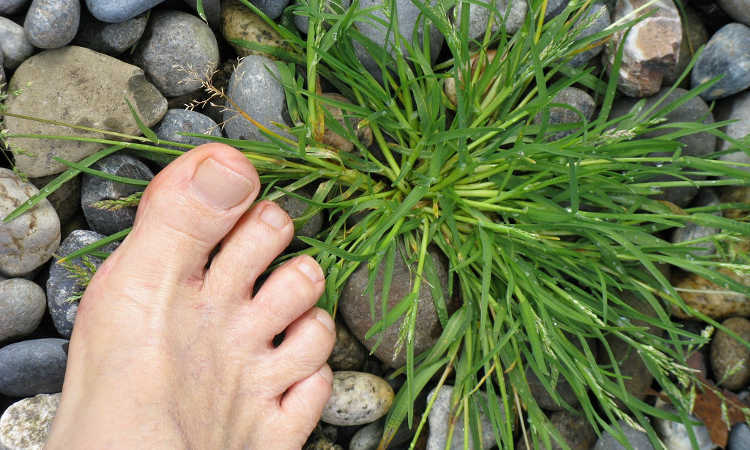 So what’s best for your yard? Do you want the look of natural wood, the ease of construction of resin or plastic, or the long-lasting lifespan of metal sheds? Let me know!